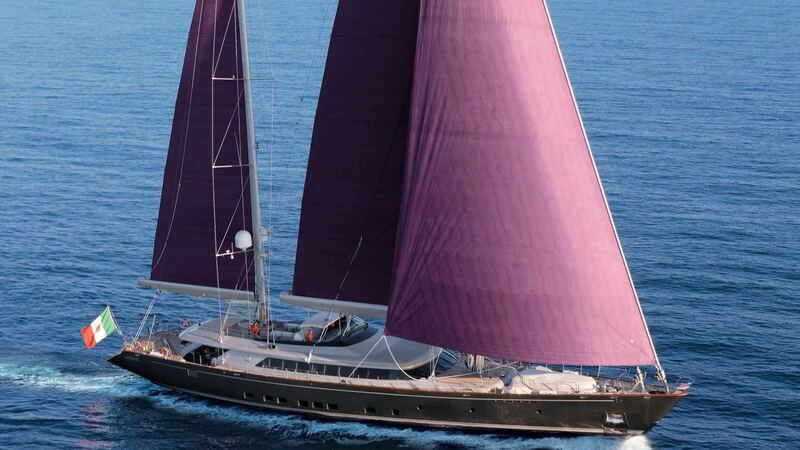 A stunning luxury sailing yacht, Baracuda Valletta is a classic Perini Navi featuring curved windows, a long flybridge and deckhouse lines. Her extended windows allow for plenty of natural light and panoramic views. The yacht’s main deck is designed as an open living area, with no partitions, and guests have the feeling of being on a much larger yacht. She accommodates up to ten guests in five luxurious staterooms; one full beam master cabin with his and her bathrooms, two double and two twin cabins with en suite facilities. More about Charter Mega Yachts here!